Looking for the best tick repellents for yourself? Look no further! 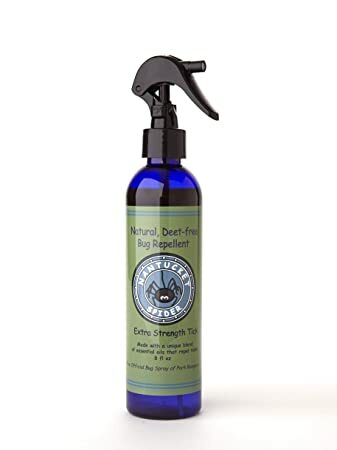 This is our #1 choice for a tick repellent because it is all natural, vegan, soy-free, cruelty-free and still effective at stopping ticks from spreading their irritating bites and deadly diseases. This repellent can also be used on children and adults, so users don't need to buy a separate bottle for each member of the family. We've broken down our top four other choices for tick repellents meant for humans below. If you have a few moments, take a look! What Makes a Tick Repellent Good? Do Tick Repellents Actually Work? Tick repellents can take two different forms: sprays or wipes. Sprays are concentrated liquid which must be dispelled through a bottle, whereas wipes are pieces of cloth with the active ingredients saturated inside, meant to be wiped topically across the skin. Both methods, through different applications, are designed to prevent ticks from biting people. A tick repellent is any sort of product—usually a spray—that deters ticks from targeting an animal from which to feed. Ticks are obnoxious pests that bite humans and animals to feed on blood. Not only do they see pets and people as an all-they-can-eat buffet, but these parasitic pests can spread all sorts of illnesses, including Lyme disease. Read Also: What's the best tick repellent for your dog? Narrowing down an exact list is difficult, as tick repellents generally use a broad range of ingredients. Unfortunately, no two repellents are created equally. Many rely on pesticides like permethrins and pyrethroids. These are chemical compounds derived from the chrysanthemum flower which disrupt a tick's nervous system, making it difficult for them to bite. If a tick is unable to bite, it can't feed on blood, which leads to starvation and, eventually, death. Another common ingredient present in many tick repellents is natural oil from plants like rosemary and lemongrass. There are fewer studies which explain how these work, but the basic idea is that the smell of these oils covers up the natural scent which attracts ticks to animals and people. The Environmental Protection Agency determined these oil-based repellents pose little to no risk to people who use them. So, what are the major differences between these two ingredients? In a nutshell: they have different risks and varying levels of effectiveness. Pesticides have more years of research to back them up and are more potent, but on the other hand, they also include unpleasant compounds like DEET. Many tick repellents with pesticides can also make humans and animals sick if they are exposed in the wrong way. However, if used correctly, chemicals like DEET pose no risk to humans. Natural oils have less research to support them, but are also less toxic. However, this low toxicity comes with lower rates of efficacy. Sometimes the products from rosemary and lemongrass work, but other times they might not. Some skin types may respond well to the oils, and some may have adverse reactions. When selecting a repellent, it's important to choose one that you are comfortable with, as well as one which doesn't harm your skin. What Are the Risks of Tick Repellent? As with any pest-controlling product, tick repellents come with a few risks. The pesticides in the products should NOT have an adverse effect on the average human, but under no circumstance should anyone ingest a tick repellent. Eating or drinking a tick repellent is toxic. Please seek immediate medical attention and contact Poison Control in your area if you or your child has accidentally ingested a tick repellent. Sprays meant for humans should also be kept away from cats, fish, and other creatures. They are more susceptible to harm from the ingredients due to their small body sizes. Sometimes people can suffer an allergic reaction to tick repellents. If this happens, wash the repellent off of your skin with soap and water and then speak to a medical professional as soon as possible. Read Also: What's a good tick collar for your dog? Many people hear horror stories about DEET—one of the oldest chemicals used in tick repellents and other insect sprays. This chemical was invented in 1946 after being developed by the US Army to protect its against mosquitoes in highly-infested areas. In 1957, DEET became available for sale to the general public, and as of 2014, the EPA continues to identify little to no risks in its use. However, many other people worry about exposing themselves and children to too much DEET. To avoid it, there are many sprays on the market which use essential oils in order to sidestep these chemicals. These insect repellents, much like the tick repellents mentioned earlier, have varying levels of effectiveness. Take a quick look at the video below for a brief explanation of how DEET and other repellents stack up against each other in a Consumer Reports test. Tick repellents, all in all, are simple creations. The easiest way to tell if one is satisfactory is to check how effective it is, and how much value it brings to the table. The whole point of a tick repellent is to keep ticks away from you and your loved ones. If your product doesn't achieve this simple goal, can it really be considered a good repellent? The short answer is no. So, when you're on the hunt for a "good" repellent, pick one that works, case closed. You should also find a repellent that you are comfortable using. This means that you should aim to find something which doesn't irritate your skin, something which doesn't smell bad, and a product that you enjoy purchasing from a company you feel right about supporting. How Much Does Tick Repellent Cost? Let's face it: there are a lot of repellents on the market. Sometimes, it can feel overwhelming when you're making your selection—almost as if you're bombarded by all the (seemingly identical) choices. Most tick repellent sprays come in 4 oz. - 8 oz. bottles which won't cost you an arm and a leg. Prices on these bottles vary, but they're definitely cheap enough to bring with you on your next hike, camping trip, or gardening session. In addition, if you see a repellent at an outlandishly low price, we advise against giving in to the temptation of saving a few bucks. By the same token, you should never be paying what you think is a professional-grade price for insect repellent, so if you see a sky-high markup, that could also be a red flag. For up-to-date prices on tick repellents for humans, see our buying guide below. The condensed version: most repellents do, in fact, work. They might not have a 100% effectiveness rate, but they will keep the majority of ticks away from your feet, which is the number one goal. Remember: some tick repellents work better than others. Be sure to find one that works well with your skin type, and one with which you are most comfortable. Nantucket Spider is a unique company which sells high-quality tick repellent that manages to be free of soy, animal products, and cruelty. Very few other manufacturers can make such a claim. 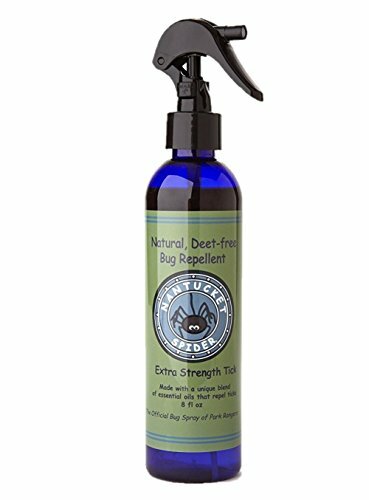 The spray is highly effective against deer ticks and other varieties. It can be sprayed on people of all ages, excluding babies. It can also be used on clothes and outdoor equipment like backpacks and hiking gear without causing any damage or staining, an aspect we appreciate about this particular spray. Nantucket Spider doesn't use pesticides or chemicals like DEET. Instead, it uses pleasant-smelling natural oils like geranium, peppermint, and rosemary. We recommend this product to individuals who want a natural, non-chemical alternative to traditional mosquito and tick repellents. The Natrapel Tick and Insect Repellents is one of the longest lasting on the market, effective on skin for up to 12 hours at a time. It's also inexpensive, which we see as a perfect win-win scenario for every outdoor enthusiast. The repellent is effective against ticks and other biting pests like mosquitoes. Other irritating insects tend to steer clear of those who spray this on their skin as well; insects like gnats and black flies. The product avoids using DEET and is instead 20% Picaridin, an alternative approved by the Centers for Disease Control. We recommend this repellent to someone who wants something inexpensive but still effective against pesky pests. REPEL Sportsman Max Insect Repellent is a highly effective spray designed to keep ticks away with maximum amount of DEET in an aerosol. It is easy to apply and dries quickly. 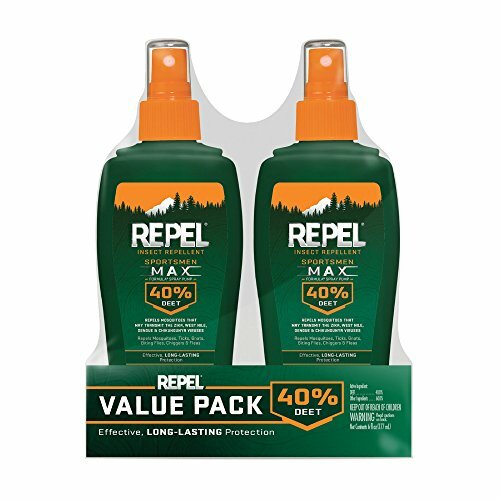 REPEL is a well-known brand that sells each 6.5 oz. bottle for an inexpensive price. It works in areas with dense tick populations, and we endorse its use for people who are camping, hiking, or entering areas like jungles and marshes. This repellent doesn't give off a strong odor and can be used on people or sprayed directly on outdoor equipment. It lasts between 8-10 hours before needing to be reapplied. The spray works against other pests besides ticks, including mosquitoes, biting gnats, and black flies. The pesticides and chemicals used in many tick repellents can make people nervous. For buyers like that, there is Wondercide Insect Repellent. Wondercide uses natural oils from lemongrass, cedar, and rosemary to generate a scent which masks the smell that attracts ticks to humans. Because of this, Wondercide gives off a pleasant aroma. This repellent works against not just ticks, but also other biting pests such as mosquitoes, gnats, black flies, and more. This repellent is safe to apply to children of all ages as well as adults. 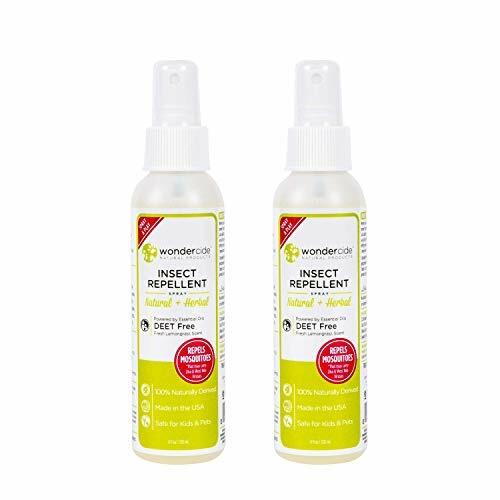 We recommend this product to people seeking a green, eco-friendly tick repellent which doesn't use chemicals like DEET or Picaridin. Some people might be deterred by Ben's 100% DEET Tick Repellent because of its main ingredient, but it is extremely effective and has been determined safe by the EPA. Ben's Tick Repellent is concentrated and meant to be mixed with water, so people only have to use a little. Each bottle contains about 3.4 oz. and is reasonably priced. The product lasts a full day of hiking, gardening, or any other outdoor activity one may need it for—ranging between 8-10 hours for a single use. This repellent carries the maximum amount of DEET currently allowed in the United States. 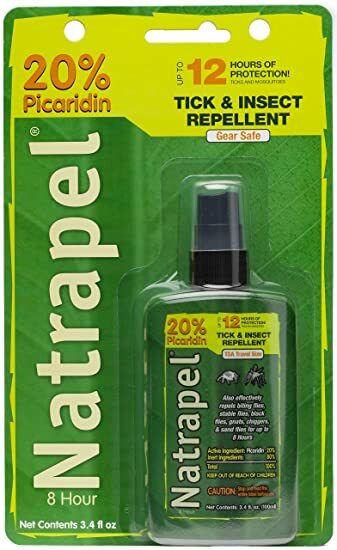 We recommend this product to people who are going to areas where there are tons of ticks and mosquitoes, including swamps, jungles, forests, and grasslands. Ticks don't have to be a problem. 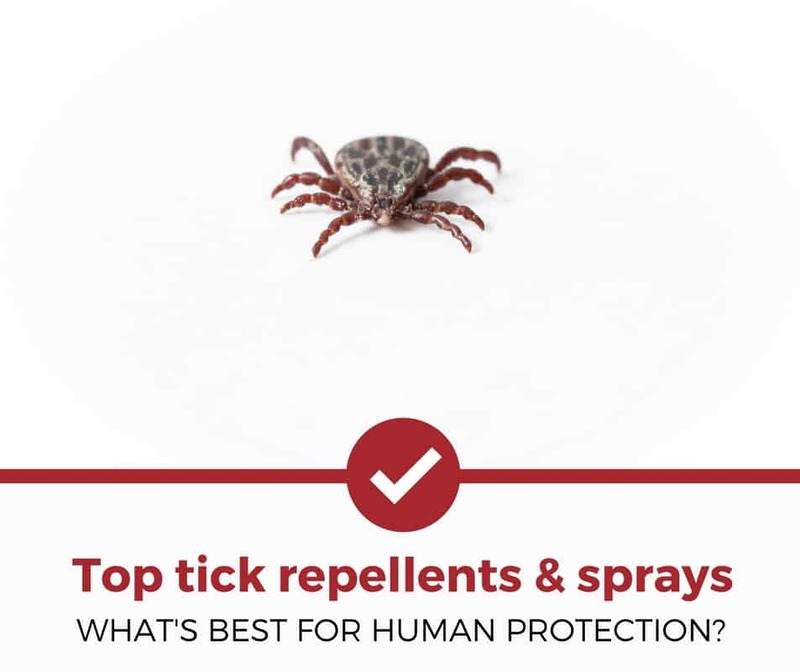 Using a repellent can keep them away so you don't have to risk disease or skin irritation. Curious about other tick related products? Check out our other detailed guides to help you deal with your pest problems.